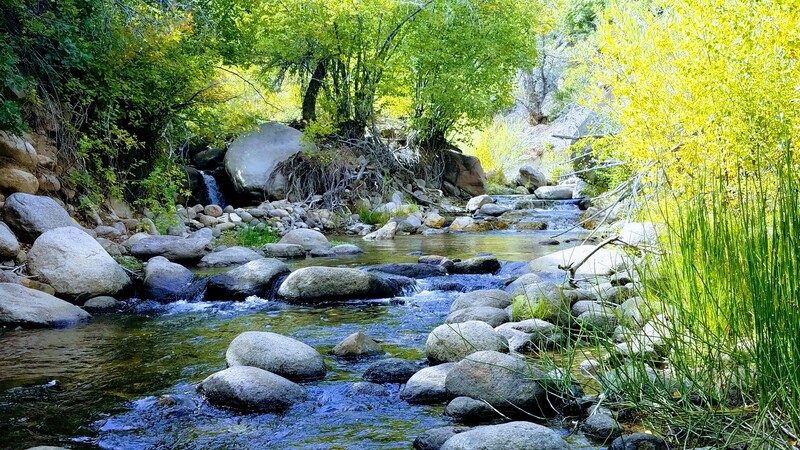 Have you ever looked at a nice, clear, babbling brook, and wanted to just scoop up a handful and take a long refreshing sip? Maybe I’m the only one, but this has happened to me on more than one occasion, particularly at the end of a long hike when the only water I have left is tepid and tastes slightly of plastic. Water is essential to human survival, particularly when we are physically active. Unfortunately, water is also very heavy and you will need a lot of it for any multi-day backpacking trips you embark on, and even for day hikes. I never hike without taking at least one liter of water which by itself weighs about 2.2 lbs. Those pounds can quickly add up as days and miles increase. Fortunately, if you know how to purify water for drinking and cooking you don’t have to carry it all with you. 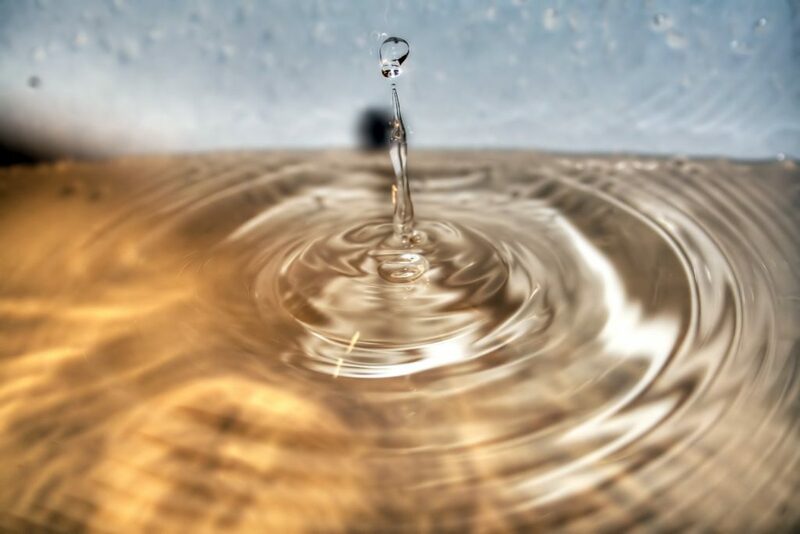 Purifying water might seem like a mundane task, but I have found it exciting to be able to drink from the many sources of water that nature provides. I’m not going to lie and say that I’ve never drunk straight from a natural source without purifying the water first. Many natural springs coming straight out of the mountain or ground are pure and safe for drinking. However, there is always some risk involved, and that risk multiplies the farther from the source you go. As a stream continues along its course there are more and more possible contaminants that may be entering the stream. Many of these contaminants are too small to see. The water could look crystal clear and still make you sick. In the United States backcountry, the most common contaminants that may be lurking in the nearest mountain stream are bacteria and protozoans like giardia. These guys can make you sick which often involves lots of nausea and trips to the bathroom. But you can easily avoid this by purifying the water before you drink it. There is a sea of options (pun intended) when it comes to drinking water purification and I’m going to discuss some of my personal favorite methods and some of the most popular as well. Filters are devices that purify your water through mechanical means. There are many filter options of every price imaginable. My tried and true favorite filter is made by Sawyer. I have used both the water bottle version and the mini squeeze filter. They are both simple to use, with easy instructions. I love the ability to get immediately filtered water by simply filling your water bottle or squeeze pouch and sipping from the other end as effortlessly as drinking from a straw. I have used my sawyer water bottle to drink from countless rivers and streams all across the American West. Sawyer proclaims its filters to attain the highest level of filtration available today and stops all bacteria, protozoa, and cysts from getting through the filter with a 99.99999% accuracy. I have had absolutely no experiences that would lead me to believe this claim is false. The filter can be used to purify up to 100,000 gallons of water before needing replacement. Sawyer also sells versions that are able to filter out viruses. Viruses are typically not a problem in the United States backcountry. But water could be contaminated by viruses during times of crises in large cities. The only drawbacks that I have found is that freezing may compromise the membrane, and if frozen there is no way to tell if this has happened or not. I made the choice to stop using my sawyer bottle after it froze overnight. But this is easily avoidable by putting it in the bottom of your sleeping bag overnight to keep it warm. Many people have heard of using iodine to purify drinking water. This is one of the oldest methods in the book. But like mechanical filters, there are many chemicals you can use to purify. Iodine and bleach are simple and cheap methods however they both come with the drawback of making the water taste bad. Fortunately, there are many chemical purification tablets that are manufactured to neutralize the bad taste. These are great options for backpackers because they are very light. Not only that, but they are great to have around in case of an emergency. They are easy to find online or in the supermarket. 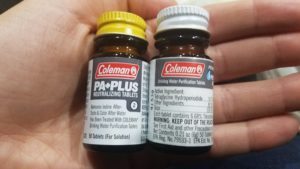 These tablets may have varying directions but typically you drop in a tablet to kill all the harmful nasties hiding in the water, wait an allotted amount of time, and then drop in a second tablet to neutralize the taste. I have found the tablets to work well. They are effective against viruses, bacteria and many protozoa like giardia for the excellent price of around $10. UV pens are an amazing concept to me. I have not personally tried them, but they are a simple UV light that you can swish around your water for an allotted amount of time. They kill viruses, bacteria, and most protozoa. SteriPEN is the authority on UV purification and offers rechargeable and disposable battery-powered options. Personally, I would suggest the disposable battery option and make sure you have extras when you take it into the field. Good old-fashioned boiling is an age-old method of purifying your drinking water. When you bring your water to a rolling boil you can be sure that all the bacteria, viruses, and protozoa that may be hiding in there are killed off quick. However, there are major drawbacks involved with this method. Boiling water uses up fuel so you have to carry more if you are planning on relying on this method. You also have to wait for the water to cool off before drinking it. This is unappealing to me because I don’t like having to wait when I desperately need to quench my thirst. Fortunately, because boiling the water kills off the badies, you don’t need to purify the water you are going to use for cooking. Feel free to fill your pot right from the stream and cook your ramen without delay. With each of these methods, it is important to be careful about cross-contamination. Don’t fill your water bottle from the stream and purify it with iodine tablets only to touch your lips to the contaminated outside of the bottle. Be sure to wipe the outside down before drinking. Along those same lines, be sure to keep the inflow and outflow portions of any mechanical filters separate from each other, as well as anything else that may touch the potentially contaminated water. Some of these methods may be easier than others, but they are all within the reach of the most novice backpacker. So don’t spend time agonizing about which method to use. You can always try a new method later, and even combine methods for added protection. So just pick one, pack it in your bag, and use it to take your two feet even farther. If you have any questions or need any help don’t hesitate to ask. And if you are an experienced water purifier feel free to comment with your favorite or least favorite methods below. Thanks for reading Vicki! What kind of filter do you use when you’re gardening? I always wanted to know how to purify water. I am glad that boiling the hell out of it really does purify it. I have had to do that a lot recently for my coffee’s and tea’s as my kettle just broke down and kept forgetting to buy a new one. The SteriPEN sounds amazing as well – where can I get one? I know where I am there is a ton of lime in our water. I boil the water and there is a significant amounts of it at the bottom of the pot. Thanks for this really amazing article on how to purify water for drinking. I won’t forget it. Thanks for reading Philip! I have linked my article to a SteriPEN you can buy on amazon. Just click on the green word SteriPEN in the article and it should take you there. There are several different options ranging from around $50-$90. Beautiful images and engrossing content. You are a natural writer. Still looking good though and I look forward to seeing what you can do in the future. True, frozen water adds extra challenges. I think every different method has its place. And of course, most cannot always work in every single situation. I found your article very helpful, I have seen the filters before, but have never used one myself. I have boiled water before. It was hard waiting for it to boil and then waiting for it to cool down. We did boil it in a large pot, so we not only had drinking water, but also water to cook with. How much water can you filter using a SteriPEN? You can purify up to a liter at a time, but since it is so quick and easy, you can quickly purify several liters one after the other. Enjoyed reading your article. Another option is to collect rain water. I’m so happy you liked it. Have you tried collecting rainwater before? I think it would work well if you do it at your permanent residence but rain is likely not a reliable water source when you’re out backpacking or camping. You’re right, there are all sorts of nasty stuff in streams especially now. I don’t think streams and rivers are near as clean as even 10 years ago. Such a shame. I love the idea of purifying my own water. I have never done it though and carried heavy water around with me. I always knew I could do the purifying but it never came into my mind when I should. I especially like the UV pen idea. It sounds a bit flaky, but I guess it works and no space required at all. I have not personally tried the SteriPen but honestly, I have only heard good things about it. If you give it a try, let me know how it goes for you! How much does the Sawyer cost? And does it compare well to the cost/efficiency of others? 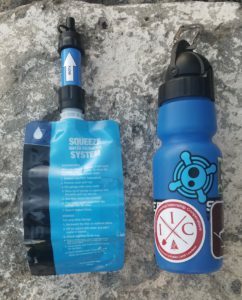 The Sawyer water bottle costs around $40.00, and the Sawyer squeeze mini costs around $20. Those are the two I have used, but Sawyer has a few other filters on the market. I would say the cost/efficiency of the Sawyer products are unbeatable! Sawyer filters are less expensive, last longer, and are more reliable than any other filter of its type. Check out my comprehensive Sawyer review here. Hope it helps ?